The museum will be closed on April 26th and will close at 2 PM on April 25th. “Enemy Aliens” in Canada is an article featured in the pedagogical resources from the virtual exhibition Holocaust Life Stories. When hundreds of thousands of European Jews were threatened by the rise of Nazism in the 1930s and 1940s, they sought refuge abroad, in countries such as Canada. Like many other countries, Canada ignored the cries for help from the Jews. At the time, antisemitism was widespread in Canadian society and William Lyon Mackenzie King’s government considered Jews to be among the “least desirable” immigrants. Isaac Herbert Isselbaecher kept this notebook while detained in an internment camp in Quebec. Many of the Jews authorized to come to Canada during the war were “enemy aliens” coming from Great Britain. Since Hitler’s election in 1933, tens of thousands of German and Austrian Jews had sought refuge in Great Britain. After the outbreak of the war in September 1939, British courts classed the Germans and Austrians in the United Kingdom into three categories. Category C: those presenting no risk to national security. 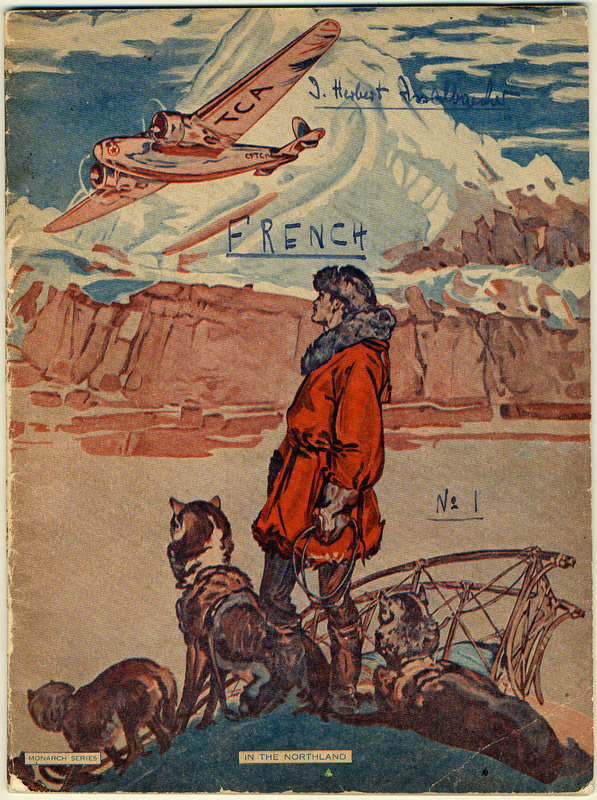 2,300 individuals from categories B and C were sent to Canada. Most of the prisoners were Jewish refugees fleeing Nazism. However, Canada still considered them a potential threat and interned them in camps in Quebec, Ontario, and New Brunswick. The Jewish inmates shared the camps with Nazi prisoners of war. Unsurprisingly, the situation did not work well. Canadian officials quickly became aware that the Jewish inmates were not safe. However, Jewish inmates were still not granted freedom; instead other camps were established especially for them. As for the Jews (as few as there were) that arrived in Canada as refugees, they were subjected to admission restrictions by schools, their participation in several fields was reduced (notably in law and medicine), and access to certain properties and vacation sites was prohibited. Source: Article about « enemy aliens » by the Vancouver Holocaust Education Center ; article about Canada and the Holocaust, The Canadian Encyclopedia online. 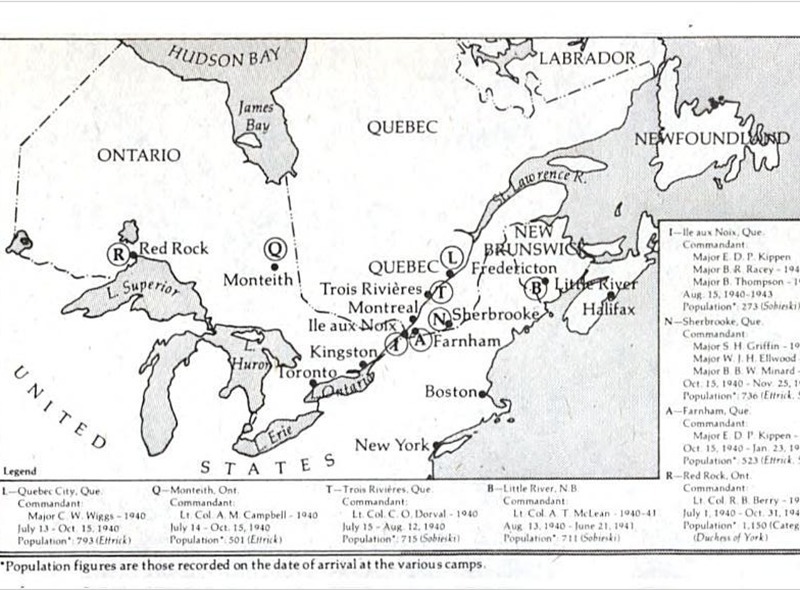 To learn more about the internment camps in Canada, read this article written by Catherine Solyom, from the Montreal Gazette, in June 2018. You can also consult the “Canadian Internment Camps” section of our Objects of Interest page to discover artefacts related to the subject, and use our Artefact Analysis Sheet to learn further with your students. On the website of our “Building New Lives” virtual exhibition, explore the journey of Holocaust survivor Joseph Lazar, who was interned in three camps in Canada because of his Austrian nationality.